“All you need is love” and that must be doubly true if both the Beatles and Lucy Van Pelt said it; Lucy very sensibly added, “and a little chocolate now and then doesn’t hurt!” Trust a female to get it just right. Surprise, surprise, surprise, we even have a few good pictures to show you amongst all the beastly things we’ve seen. But at least he could look interested in his work, especially during his busy time. If it’s that much of a drag, then get a life coach and a new career. I don’t want a bored Cupid out there shooting arrows because of ennui. This guy couldn’t even be bothered to show up for work with his tools. What is he going to accomplish with a bell? Truly, I think he’s supposed to be one of those baby angels, but the artist failed to give him an angelic expression. It’s probably his earnest expression and self-aware slogan. It was probably a bonus that his battery had worn out so we couldn’t hear some tinny version of: Love Hurts, Big Girls Don’t Cry, I’m Sorry, or You Only Hurt the One You Love. 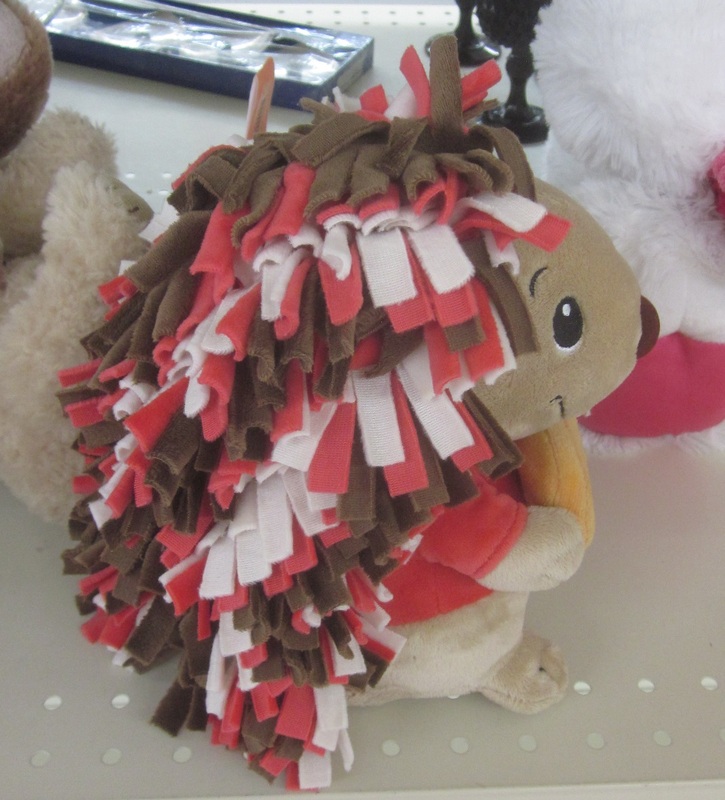 My only criticism of him is the red fleece quills. He doesn’t need them and they look weird. 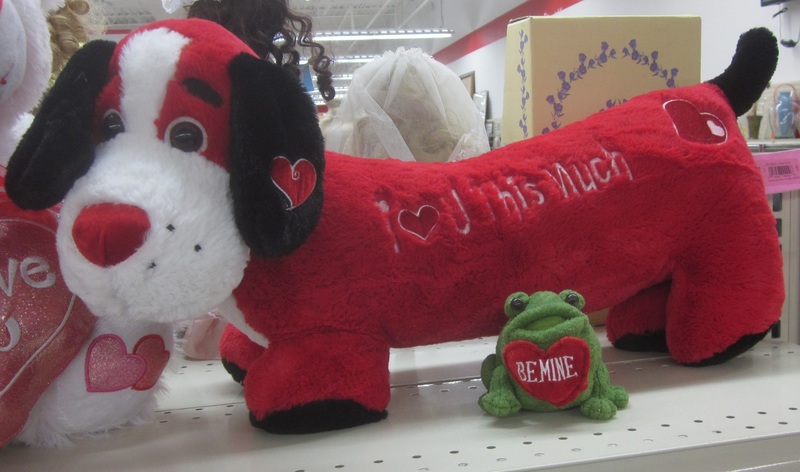 Who is this intended for—Kermit the Frog? Good gracious, she is even more hideous than that guy, Jake, from the State Farm commercial who talks dirty to his customers in the middle of the night while wearing khakis. She kind of looks like the lead singer for Jabba the Hutt’s band (super geek Star Wars reference, sorry). 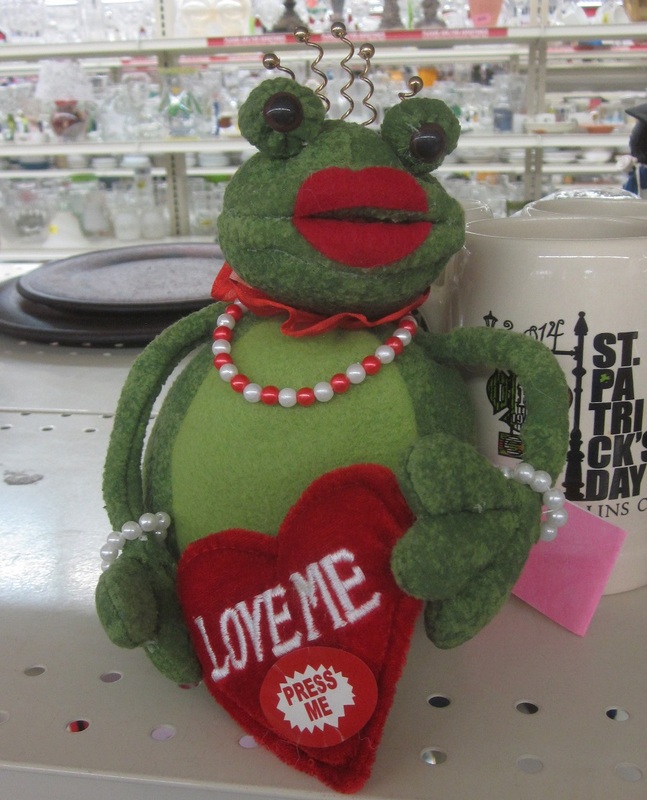 Ms. Frog doesn’t even have the decency to declare her feelings—she just makes impossible demands! I shudder to think what her song is, although a few come to mind: Always on My Mind (Despite the Restraining Order), Prisoner of Love, and Can’t Buy Me Love (But Go Ahead and Try). Would you call this Puppy Love? She had hearts all over her, but isn’t dressed in Valentine’s Day colors. 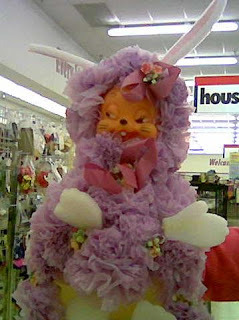 She could be an Easter doll with the yellow and purple colors, but where are the flowers, eggs, or bunny motifs? 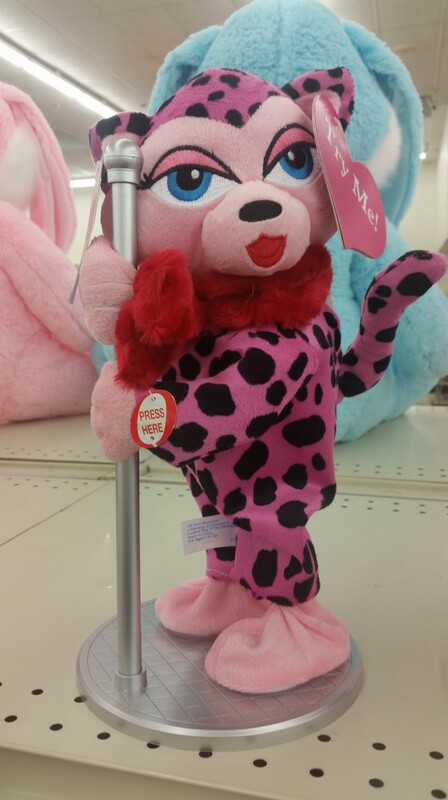 Okay, maybe she’s a spring doll, but then why is she decorated with hearts? So many questions, without an answer in sight. She is probably in the right spot. 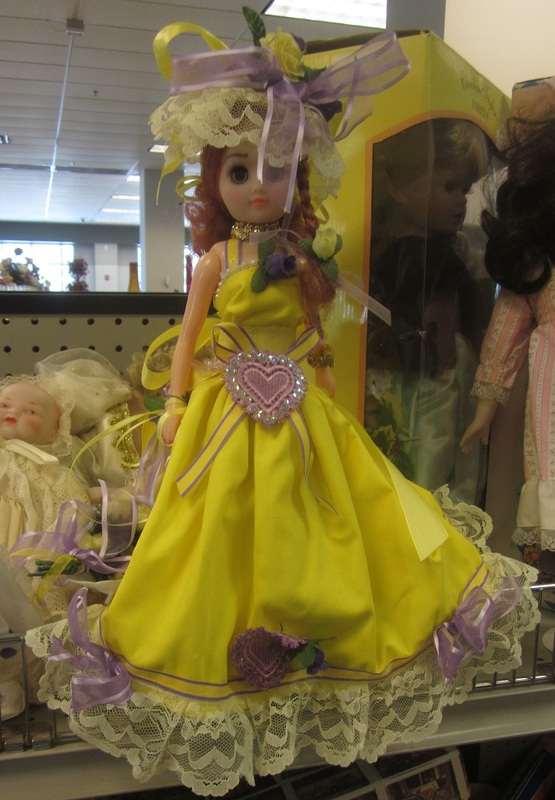 Thrift stores are where bad dolls go to die. 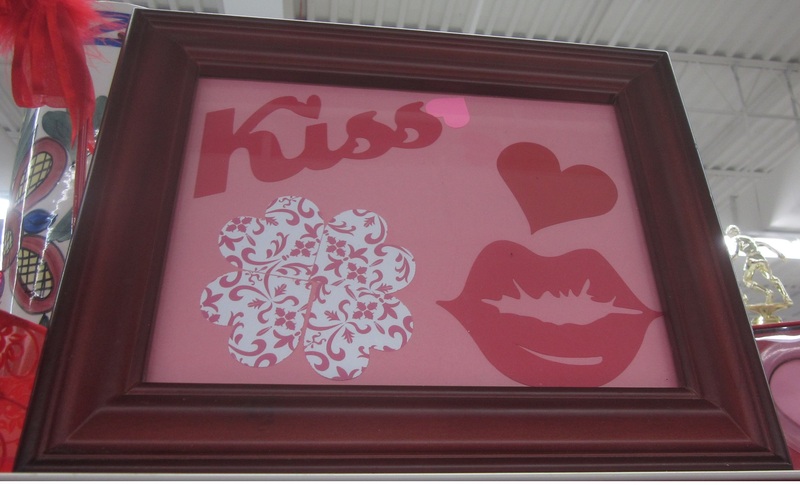 We know what they were trying to do, but OMG those lips are just bad! I know lips naturally have some lines in them, but why wouldn’t you put kissy lips in your picture instead of dry lips that need some Burt’s Bees? 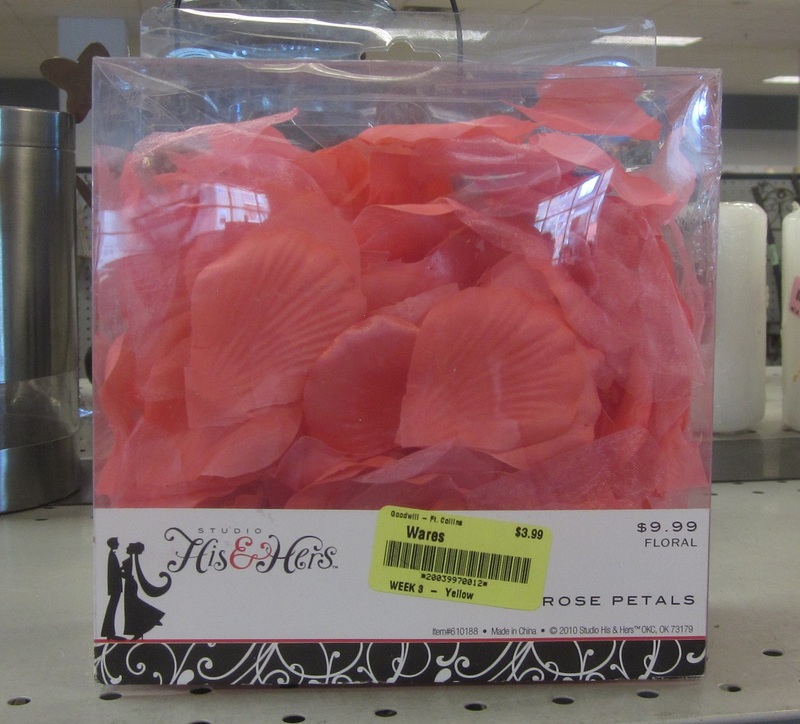 I think that people consider rose petals as the epitome of romance—they fling them in front of the bride as she glides up the aisle, and you’ve seen rooms covered in rose petals for a romantic dinner or a proposal. 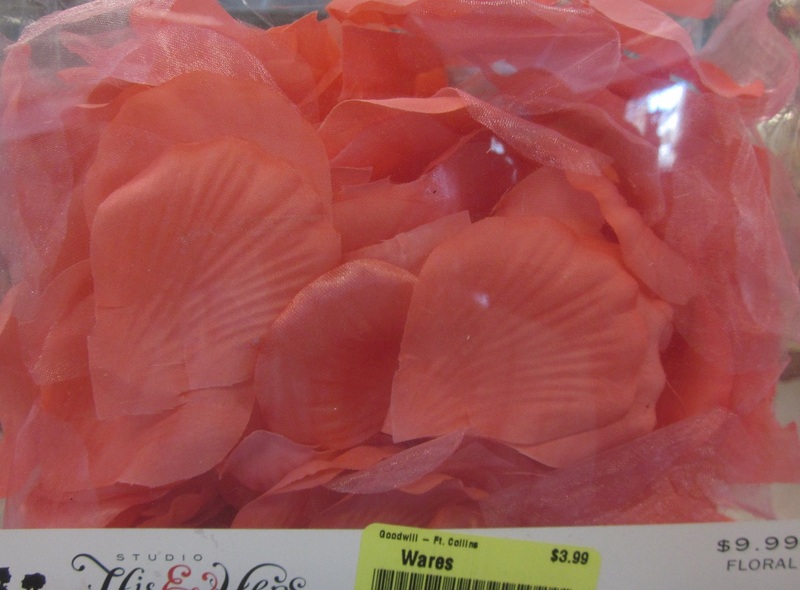 However, I’m not sure that fake flower petals convey that same sense of romance, and they certainly aren’t a feast for the senses. You would be like, “Oh, so pretty. Hey, wait, they aren’t real …” The box hasn’t been opened, probably for that very reason. 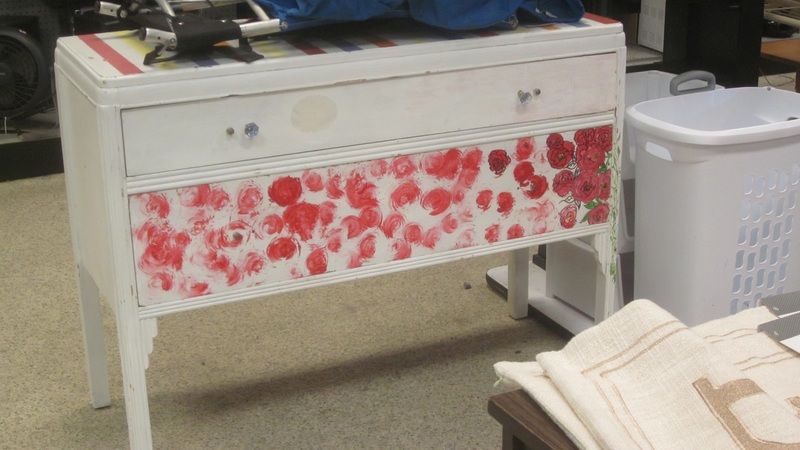 You might be able to do something crafty with them, but you need to be very, very clever. 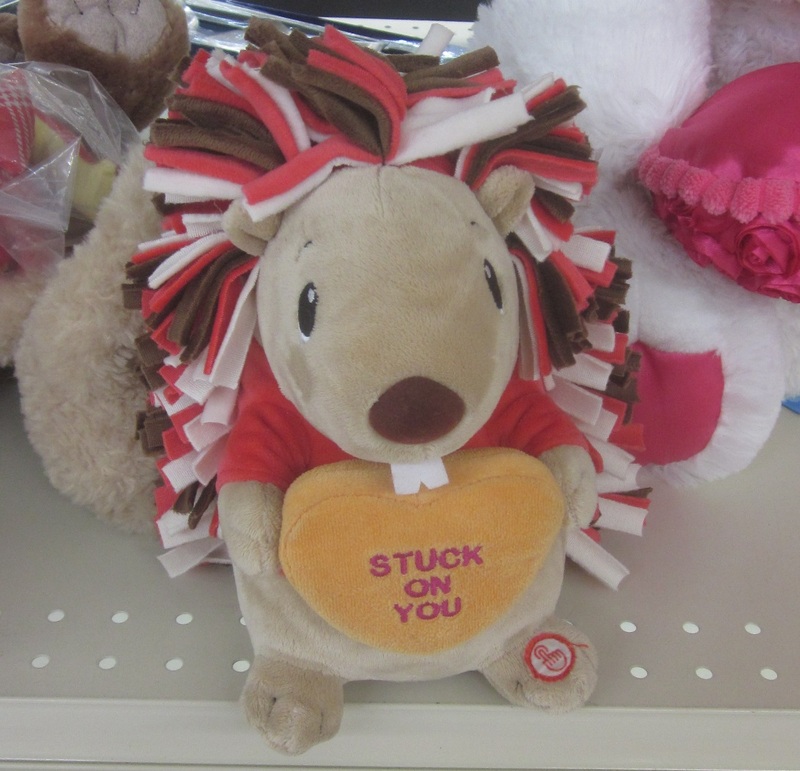 I was looking at bad Valentine’s Day presents on the internet and this one was appalling. 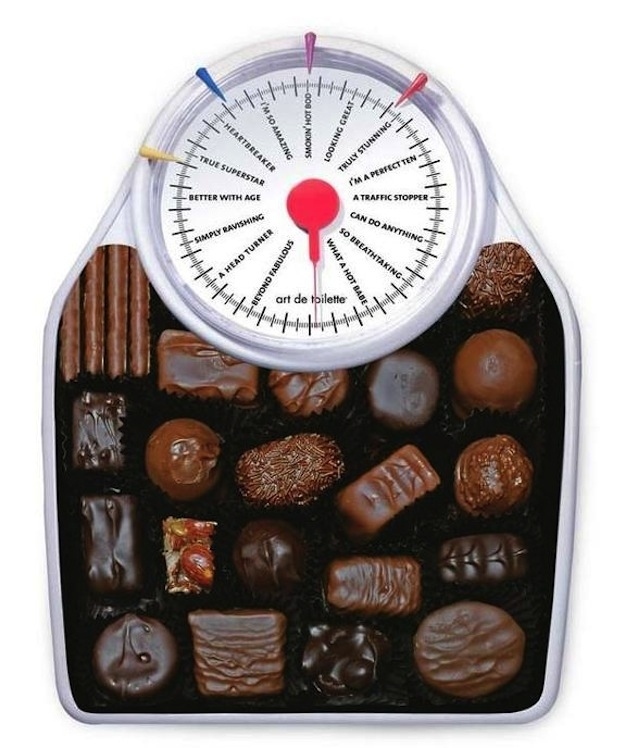 The only thing worse was “funny gift” of a box of chocolates with a fake scale dial built right into the box. I’m not sure I would even give B.H. a head start if he gave me this as a present! Like most coffee and tea drinkers, I have tons of mugs, but I would swap an old one out for one of these. 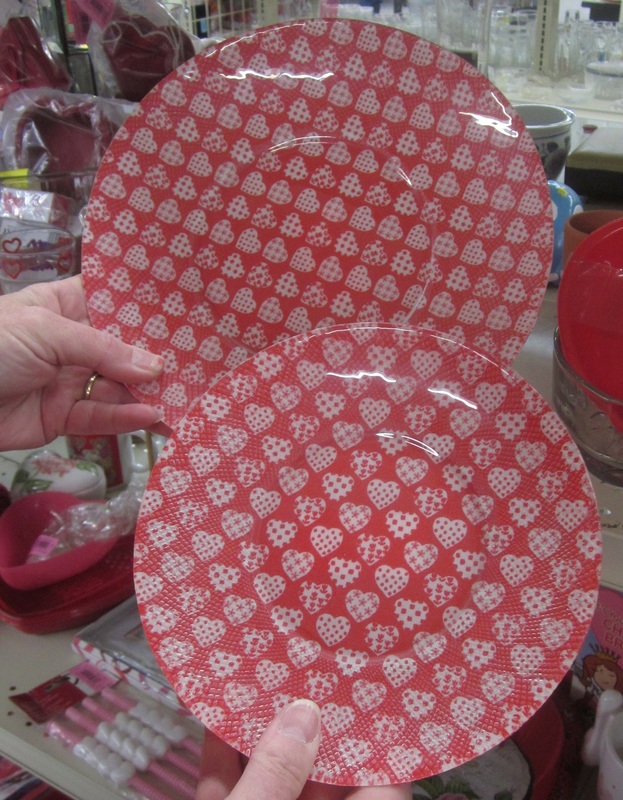 Even better, fill them with candy, nuts, cocoa mix, or tea bags. They are reminders of my sweetie, which is all I really care about in a St. Valentine’s Day present. 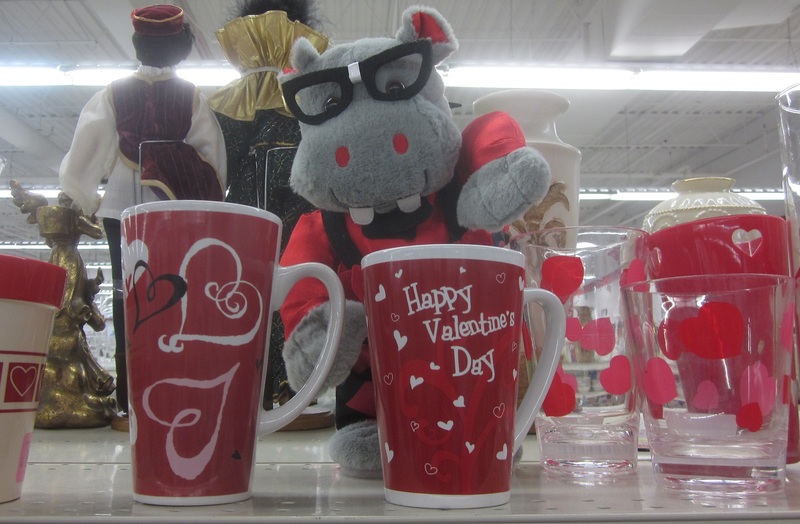 I’m hoping that the hippo is just a barista. They would look pretty special with favorite cookies, chocolates, or a tart in the center. They would be easy to store, too. 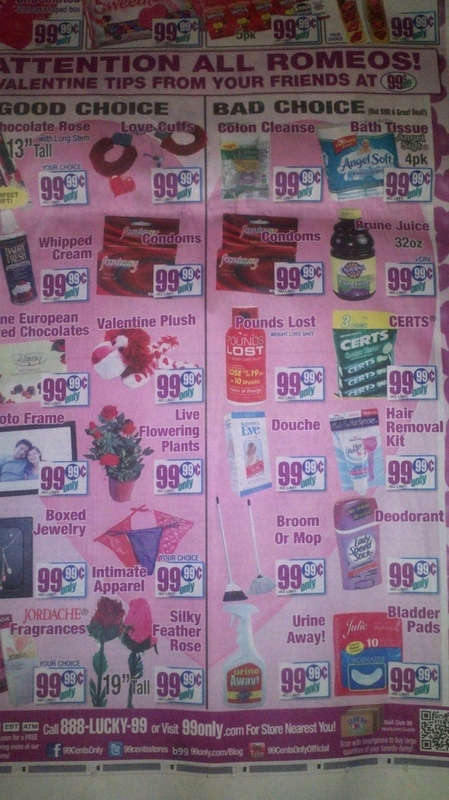 They didn’t go crazy and add a bunch of flowers, hearts, bows, or cupids. It’s so simple, but you know what it means. 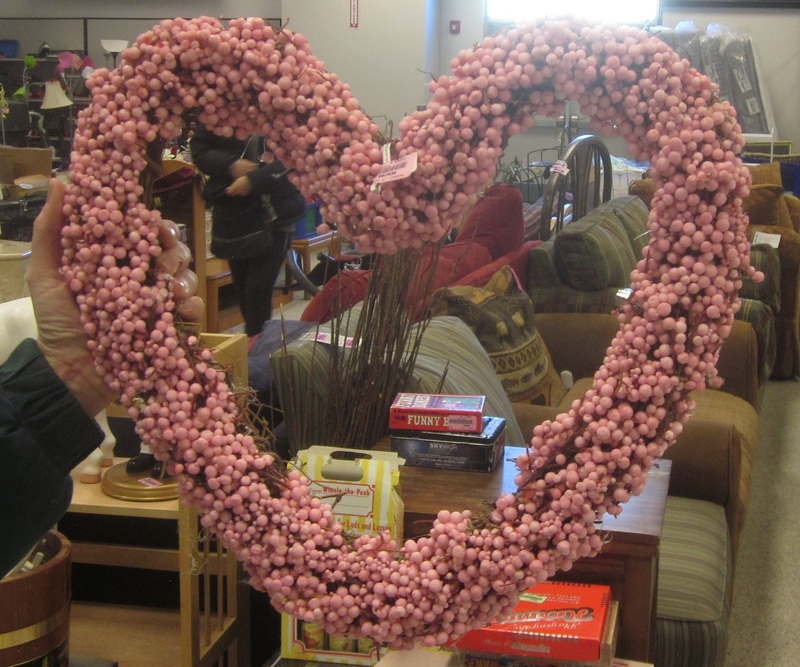 In this world of going over the top in decorating, this heart wreath is pleasing. Of course, our best advice is to treat your loved one in a kind, considerate way all year. That is the most romantic thing of all! Plus, it’s free. 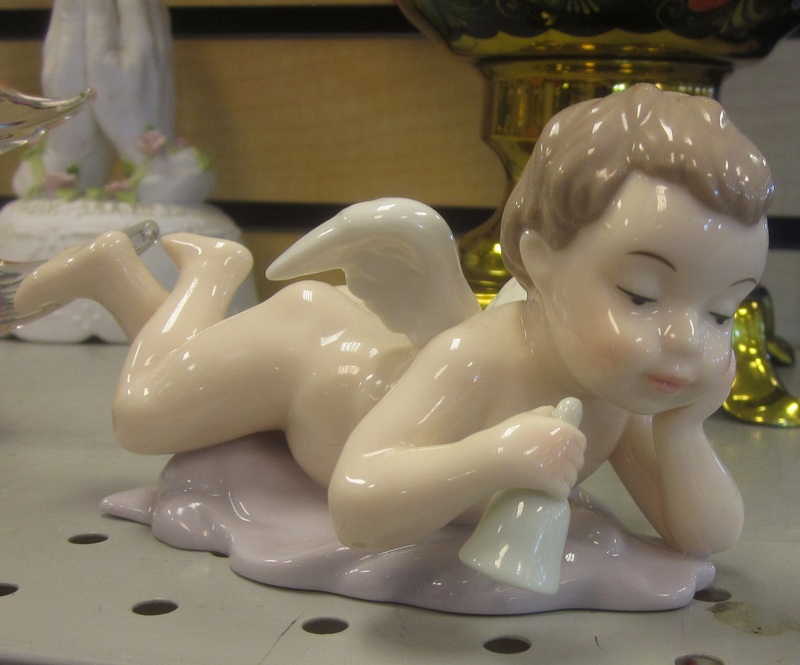 This entry was posted in Holidays and tagged Angels/Cherubs, Animals, Antique, Bad Decor, Garage Sale, Pictures, Thrift Store, Vintage. Bookmark the permalink.